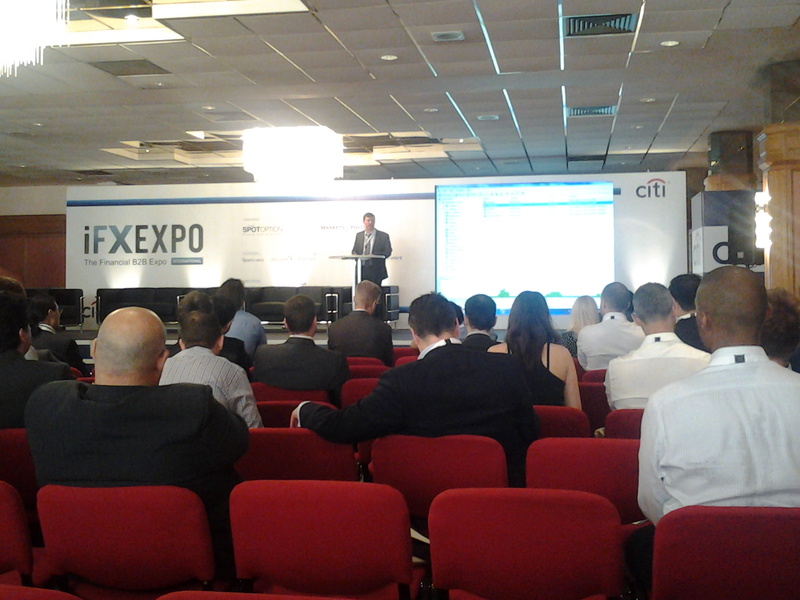 The IFXEXPO got the first breaking news event of the day as the announced the coming launch of a 3rd party provider marketplace during their MetaTrader Workshop. The MetaTrader Workshop was a MetaQuotes sponsored event where they presented information to brokers and prospective clients about their platform offerings. The presentation covered their recent updates during the past year which included the launch of trading signals and their app store. The meat of the event which was presented by Andrei Savitski, Head of Global Sales at MetaQuotes Software, was the final section when they addressed the current friction taking place between them and third party providers. Savitski stated that they “appreciate the value that provider bring to MetaTrader”. But, he stressed that the products also can lead to security issues and breakdowns of MetaTrader operating correctly for their clients. To address this problem, MetaQuotes will be launching a Third Party Provider Marketplace. Savitski explained that any third party provider will be able to submit their solution to MetaQuotes to test for quality and performance, as he said “basically, we want to make sure there is compatibility”. MetaQuotes is expecting a Q4 launch for the new marketplace. In addition, MetaQuotes will be acting as the middleman between providers and brokers with invoicing and payments being conducted by the technology provider. Savitski added that the marketplace will be accessible through the MetaTrader Admin product. In the Q&A, Forex Magnates asked what the fate of existing third party providers are and whether they will be forced to participate in the marketplace. Savitski answered that “third party providers can elect to participate, but it is up to them, we won’t force them”. A follow up question was asked in regards to bridge providers such as PrimeXM, Gold-I and oneZero. Savitski answered again that it up to the providers and “nothing will happen to them”. He added that brokers expect quality which he believed MetaQuotes will bring. Our opinion is that the marketplace makes sense. As written about before, developers would welcome a specific list of guidelines to ensure that their products are compatible and won’t be banned in the future. The marketplace also fits what the firm has been doing on the client side by developing its EA store. Overall, having seen providers profit around their platform, MetaQuotes is moving to grab a larger share through the launch of the marketplace. This is hilarious, “Metaquotes will bring the quality”… actually, it’s Metaquotes new builds the ones that are failing (e.g. the new ‘one-click’ trading), not 3rd parties. It’s not that difficult to admit ones faults. It’s all about money, nothing else. Metaquotes want a share of the money from other’s people work. Embarrasing. All they are getting is a few companies now trying to develop new platforms as good or even better as Metatrader. MetaQuotes is just forcing some Vig out of an ecosystem that has sprung up around their lack of interest in MT4. Is Metaquotes trying to say that third party products are lowering the quality of MT4? I have been using MT4 for quite some time and the only bugs I have experienced have been with build releases from Metaquotes.